WAFFLES: Hey Boss! I hear something. Do you think it could be...the Great Pumpkin??? KATIE: Waffles, I'm pretty sure that's just the vase you knocked over. Again. Besides, it's not even Halloween yet. WAFFLES: But I'm scared, Boss. Just how big IS the Great Pumpkin? KATIE: Let me get this straight. Last week you wanted to invite the flying monkeys from The Wizard of Oz over to play, but now you're scared of a little pumpkin??? WAFFLES: Um, YEAH. It's a GREAT pumpkin. It's big and orange and scary. KATIE: Big, orange, scary. Ok. Do you not see the irony in this? 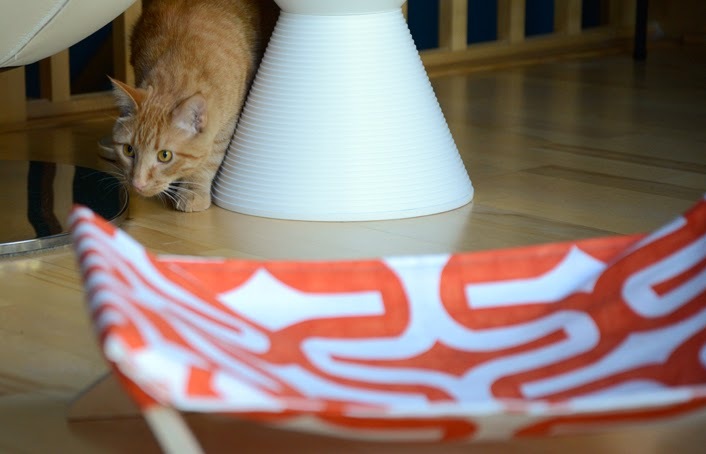 WAFFLES: And what if the Great Pumpkin steals my cool lounger? The one the nice peaches gave me. I mean it IS orange and all. What if the Great Pumpkin sees it and thinks it would look nice in his Great Pumpkin house??? KATIE: Ok, let me get THIS straight now. You're scared of a pumpkin. 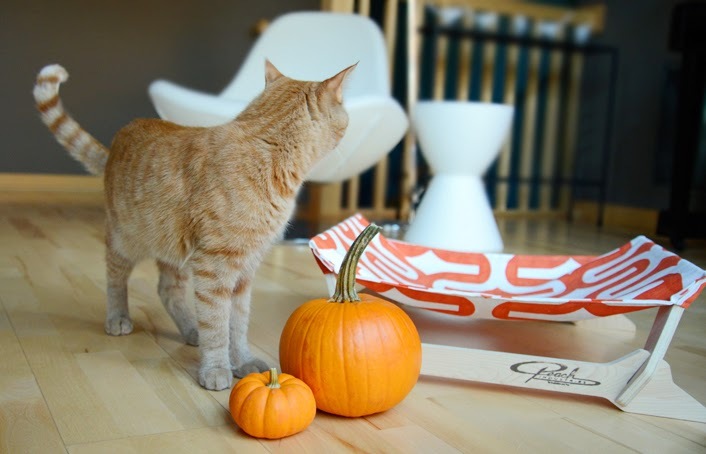 A pumpkin that steals kitty loungers. A pumpkin that lives in a pumpkin house. AND you're accepting gifts from peaches. Waffles, I think you're a little fruity. 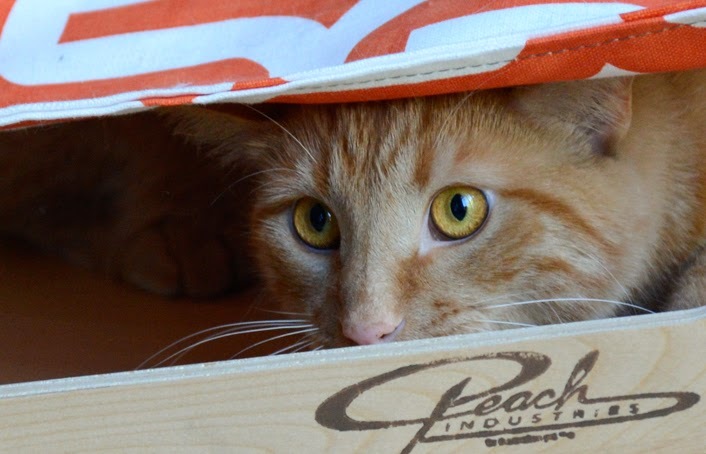 KATIE: Special thanks to our friends at Peach Industries for giving us our cool Marmalade Kitty Lounger Mini. And for scaring Waffles into thinking some big pumpkin is planning a kitty lounger heist. Peach Industries has a brand new website and we think it's just peachy! You can also find them on Facebook, Pinterest & Instagram. Stay tuned for more cool stuff from our peachy friends! Peach Industries is a paid sponsor of GLOGIRLY. We heart ♥ their products and all of our opinions (even Waffles') are our own. OMC a kitty lounger heist???? Truffles is dutifully protecting hers as we speak!!! Oh Waffles. Ichiro is afraid of all kinds of silly things too. But so far we having told him about the Great Pumpkin. Hi Katie, I think that Waffles is a "lifelong project". But he's kind of cute. Pretty sure Waffles thinks irony is something that happens to GloGirly's & GloMan's clothes, Katie. Let this Great Pumpkin show up around here, and I'll show him, um, her, um it...or whatever. Slowly coming out of my sad funk. We heard that some punkins weigh more than 1,000 pounds. They could smash you into an orange pancake. We'd be scared too. And we don't think that kitty lounger will survive either. Just saying…in case you want to ramp your paranoia up a notch or two. 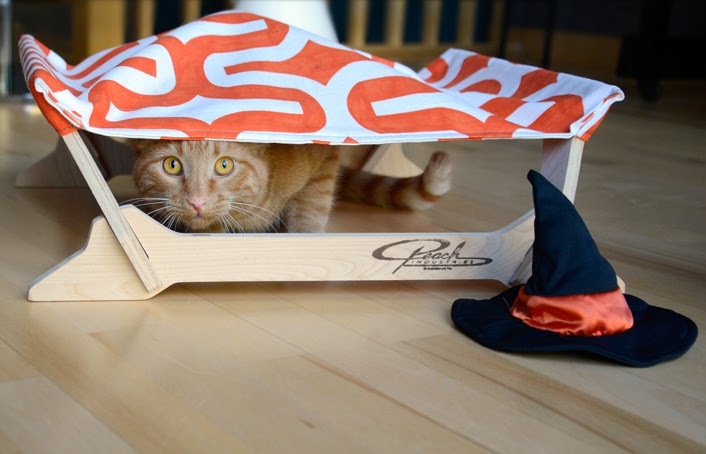 We think the Great Pumpkin is a bit skeery too....especially if it steals kitty loungers. After all, what if you're sleeping in it when it gets stolen? 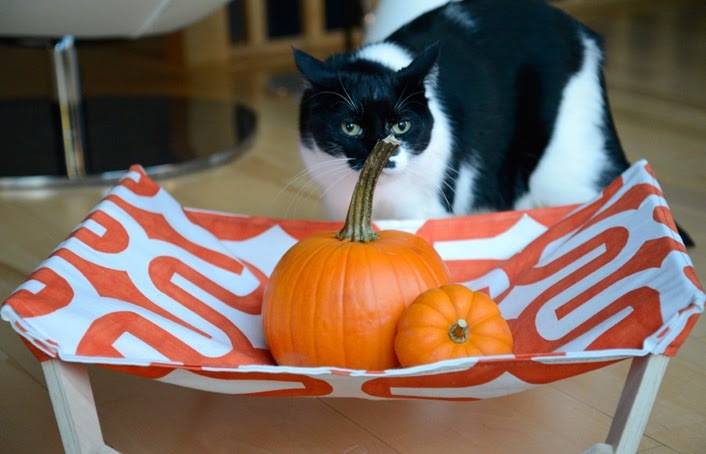 If there are pumpkins in your kitty lounger, where are you going to nap? This is a nap emergency! But if you're still scared, you can come over here and me, Milita, and Jewel will protect you! MOL, Waffles is too funny. 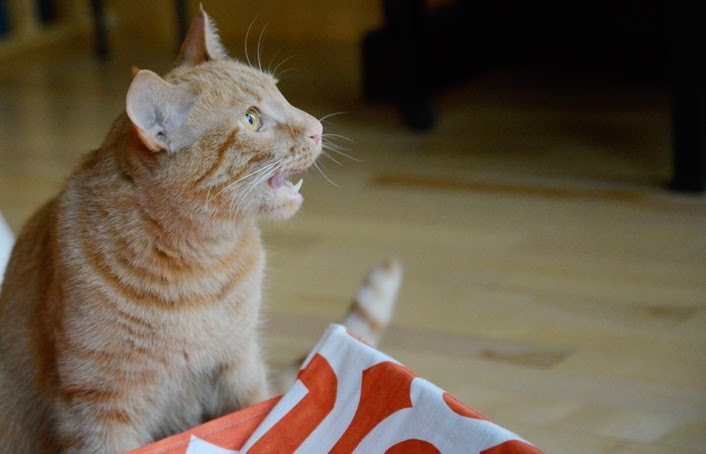 Katie this is great news for you, now you can terrorize the Orange Menace all year just tell him the Great Pumpkin collects orange cats for his pumpkin house. Mom says her cat Peaches would have loved the lounger! 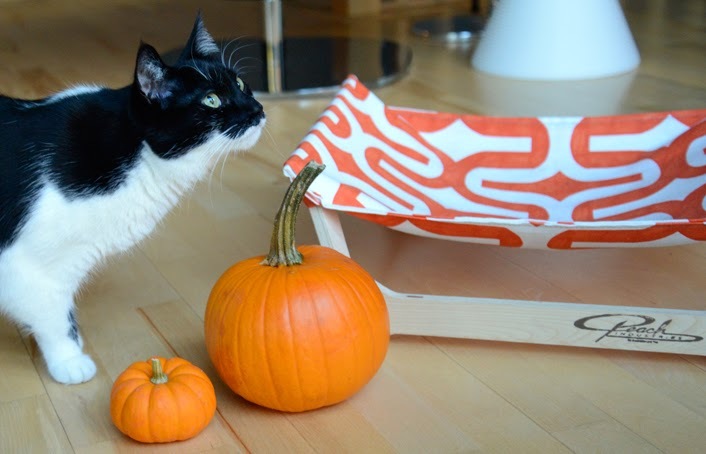 you don't want a pumpkin on the lounger! It will smash! Katie, tell Waffles that the Great Pumpkin brings treats! We see the irony in it! Princeton is our big, bad, kitteh, but he is afraid of silly little things, too. Now, I'm off to terrorize him. MOL! I will dress as a pumpkin and take that lounger! It sounds like it would be an easy heist! - Crepes. Ha ha ha! I think you need to lay in that lounger 24/7 until Halloween is over so that the Great Pumpkin can't steal it. Although.....it may steal the lounger AND you with it.....Mwa Ha Ha! I know you already know this, but that orange boy just isn't right in the head. OMC Now I'm scared of the Great Pumpkin! Yikes. Maybe I need a nifty lounger to hide uner too. I will tell when to come out Waffles. Heh heh Katie if he thinks the great pumpkin is coming you might get a the whole house to yourself if he's hiding under there. a kitty lounger heist? will they take our sofa?? ?